Isn’t every restaurant in the United Kingdom a “British” restaurant? Technically, I guess it is. 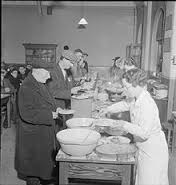 However, during WWII, the term was used to describe communal kitchens created to help people who had been bombed out of their homes, run out of ration coupons, or otherwise needed help. The restaurants were also popular with the working public who were interested in cheap, nutritious meals. Started in 1940 and originally called “Community Feeding Centres,” then Prime Minister Winston Churchill coined the phrase British Restaurant. By 1943, there were over two thousand of these establishments serving 600,000 meals a day. They were set up by the Ministry of Food and highly regulated. No one received a meal that included more than one serving of meat, game, poultry, fish, eggs, or cheese. In addition, meals were sold for a set maximum price of 9d (pennies). 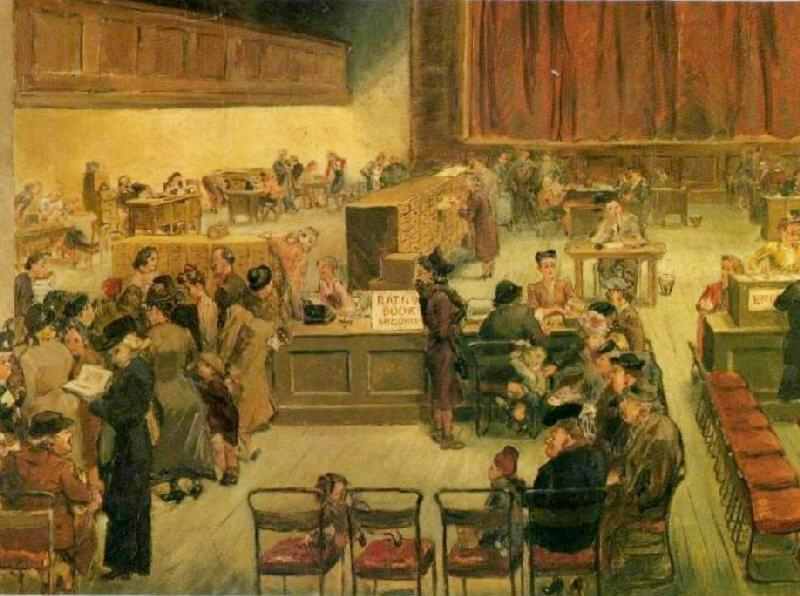 The reason restaurants could sell meals inexpensively is that they were set up in facilities (schools, church halls, working men’s clubs, etc.) that had already been requisitioned by the government, and all the work was done by volunteers, many of whom were members of the Women’s Voluntary Services. 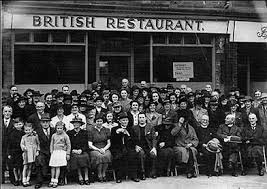 Having met the needs of the people during the war and afterwards while many foods were still rationed, British Restaurants were disbanded in 1947. Another example of a creative solution to one of the many issues that resulted from the war. Forensic Friday: Who's Got the Goods?